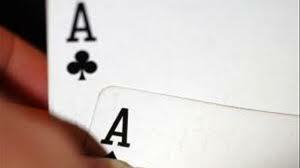 From a general standpoint, big pairs give you a huge advantage on third street in seven card stud. Having a pair of aces, kings, or queens puts you in a great position early on and may warrant raising big to isolate one player. Of course, as with anything in a stud game, there are always exceptions to playing big pairs on third street, which we’ll discuss below. Looking at aces specifically, when several players have raised before you and there’s little chance of improving the hand, this might be a good spot to fold your pair of aces. Although rare, there’s always the possibility that a really tight player could be holding rolled up trips or aces with a better kicker. With a pair of kings or queens, there’s a good chance that you’ve got the best hand – just like with aces; however, there are also going to be times when you’re beat, so don’t be afraid to fold these big pairs when tight players are raising like they’ve got aces or trips. It’s important to be careful when you’re holding a pair of jacks or tens in stud games. This is especially the case when you’ve got a weak kicker and two or more overcards are acting behind you. For example, if your hole cards are Td-5h, and your upcard is Ts, this is a solid hand. However, when there are upcards of ace, king and queen acting after you, this is normally a good time to fold in seven card games. Another situation to look at in seven stud is when you’ve got a big pair, but there’s some raising action before you. For example, let’s say that you’ve got stud cards of Js-7h along with an upcard of Jc. Assuming there’s a raise and then a reraise from overcards in front of you, this is a smart time to throw away your jacks. But the key thing to realize is that there are always situations in stud games where you wouldn’t necessarily have to fold in the aforementioned scenario. For example, let’s assume that – instead of having a 7h kicker – you now have an Ah kicker with no other ace upcards showing. If a queen upcard raised and a king upcard reraised, the correct play here could be to call, or even reraise if you think the opponents will fold. From an overall standpoint, just know that your opponents will largely dictate what you do in stud game situations like this. In the previous situation, we just discussed reraising a couple of opponents with an ace upcard showing in hopes that they’ll fold. Of course, these kinds of moves normally only work when you’re dealing with tight seven stud players. More aggressive opponents may not yield to the threat of your aces, and they’ll either call or reraise, which puts you in a very awkward situation. That said, it’s a good idea to wait until you’ve had enough time to observe new opponents before tying a semi-bluff because you don’t want to be putting a lot of money into the pot when you’ll most likely be behind going into fourth street. Another important topic worth covering with regards to big pairs in stud games is if your hand is “live” (cards you need to improve are still available) or “dead” (opponents have most of the cards that would improve your hand). To illustrate the impact this would have, let’s assume that an aggressive player (queen upcard) has raised ahead of you on third street when you’re holding Jd-8d-Js(upcard). There’s a solid chance that you’re behind from a pair standpoint, but your stud cards are also showing a two-flush, and the aggressive seven stud opponent could be bluffing. 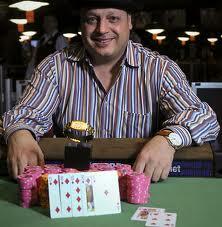 However, the two-flush aspect of this hand is taken out of the equation if five other opponents have a diamond upcard. Essentially, your hand is dead (except for trips possibility), and the two-flush is a non-factor when deciding to make this call. One thing that can really take away from your big pair strength in a stud game is when several players have limped in before you. For instance, if you have Qs-9d-Qh(upcard), you’ve got a really good pair. However, if five players have limped in front of you, it’s going to be a lot harder to isolate anybody with a big raise; these scenarios are quite common in micro stakes stud games. The reason why is because, even if you raise big on third street, there’s a strong chance that at least two players will call. Now you’re dealing with two players who could improve their hand on fourth street and beat your queens. Depending on the situation, the correct move could be merely calling the limpers and being ready to throw your big pair away on fourth street (assuming your hand doesn’t improve). Common seven card logic says that you should’t limp with a big pair because the goal here is to isolate one player on third street and take their stack later. However, there are certain situations where it can be correct to limp in a stud game with big pairs. One good situation can arise if you’ve got aces on a table full of aggressive players; if you limp in, there’s a very good chance somebody will raise later on, and you can reraise them. Additionally, if you have a two-flush or two-straight with a live hand, limping in could encourage more raising, and help build the pot for future streets. Finally, limping in could make you look like a fish and enable you to deceptively portray this table image. One final third street stud game scenario that we’d like to cover is reraising a bigger overcard. In this instance, let’s assume that you have stud cards of Jd-6c-Jh(upcard), while the initial raiser is showing a king. Assuming this seven stud opponent is pretty aggressive, they might simply be trying to represent a pair of kings when they in fact have very little. Another scenario where reraising a bigger overcard can work is if their card is duplicated elsewhere on the board. This makes it less likely that their stud cards contain a bigger pair than yours. If you do reraise and get reraised back, you can reasonably assume that you’re facing a pair of kings here. Looking at things from a broad perspective, you can see how there are a lot of different situations that arise when it comes to big pairs in stud games. This being said, it’s not always as simple as merely raising with your big pair.